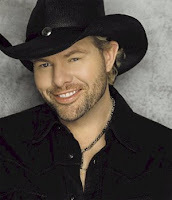 The Beantown Bloggery: Toby Keith Tix On Sale Today! Oh wow, this looks like it's going to be an awesome concert! Yes, I listen to country music as well as pretty much any other type of music and Toby Keith is one of my favorites. He's coming to town July 7/26 to the Comcast Center and tickets go on sale to the public today at 10am EDT. Click (here) to get your tix. 0 Response to "Toby Keith Tix On Sale Today!"